In general youth in the age group of 18-35 years are eligible to take up skill training provided the person should be a job seeker and willing to take up a job after skill training. The applicant is not restricted by age, caste or location. There are a multitude of schemes from different departments which have their own set of eligibility criteria and income limits, self-certification as a proof of income limit is admissible under different schemes. Majority of courses are targeted at school drop outs and college drop outs till 10+2. 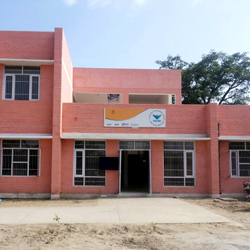 Since most of the training centres run by PSDM are hybrid in nature, candidate may fit himself in one or the other scheme which is operational at the centre. Candidates who are interested to enrol themselves under training may get the required information regarding the courses at a Training Centre near to them. In order to enrol himself/herself under the course the candidate may directly get in touch with the Centre in charge of the training centre or with the concerned PSDM District Programme Management Unit / District Bureau of Employment & Entreprises. 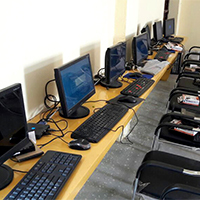 The candidates interested to apply for training under the DDUGKY Scheme may also enrol themselves online through the web platform www.kaushalpanjee.nic.in or register online on www.ghargharrozgar.punjab.gov.in as a job seeker and give preference for skilling updating details of sector, location preferences in their profile. Soon they ll be able to directly register online on the PSDM portal www.psdm.gov.in for all the schemes and training centres. The normal duration of the training period is from 3-6 months and is provided both in the residential and non-residential form as per the capacity of the training centre. The Curriculum relevant to the course is developed by the Sector skills Council as per the National Occupational Standards. Bilingual Training and Learning Material (TLM) is provided to the candidate for better assimilation of the course content. Regular Industry visits are organized so that the candidate gains hands on experience in the relevant course. Training on IT and soft skills is provided to the candidates to make them job ready while attending the training course. To provide practical knowledge to the candidates, on the job training in all skill training courses has been initiated. 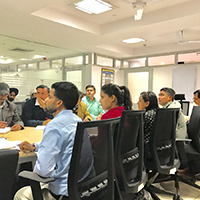 Mock sessions on job interviews are also conducted so that the candidate gains the confidence of facing job interview while appearing for an interview. (https://www.youtube.com/watch?v=s9yrmDkiaYk) There is also provision for uniforms, tablets and to and fro allowance under the DDUGKY Scheme. 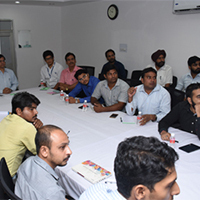 The candidates also get a chance to interact with the Bankers so that they are oriented on the benefits of the various self-employment schemes of the Government. There is a special session organized so that the candidates understand the promotional incentives under various schemes of self-employment. All the training programmes under PSDM have the inherent component of third party assessment and certification . The certification and assessment is conducted by Sector Skill Councils-( SSCs) which are autonomous industry led bodies for steering skill development and training. Every Scheme is implemented with a mandate to train candidates so that they are ultimately empowered either to be wage- employed or self- employed. The proportion of wage and self employment varies as per the conditions of the Scheme. 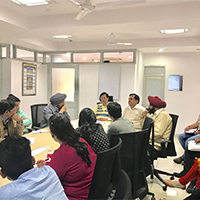 In order to facilitate placements of the candidates trained under various schemes of PSDM , a special emphasis has been laid down on organizing Rozgar Melas across the Length and breadth of the State . In addition to this Punjab Skill Development Mission in joint collaboration with the Department of employment generation and trainining has developed the Ghar Ghar Rozgar portal which provides a readymade online solution to bring employment opportunity to the interested applicant’s doorstep. The portal has been launched with an objective to provide one stop interactive digital platform for the job seekers and employers. Job seekers/ applicants looking at career counselling, skilling or skill up gradation, self-employment, foreign placements etc would also be able to utilize the services of portal. Some of the schemes implemented under PSDM also provides for Post Placement support to the candidates in the first few months of post placement phase. This is usually provided in the form of a monetary support to the candidates and credited directly into the Bank accounts of the candidates.